UK Says: We’ve Still Got Wiggo! Everyone is asking: where’s the gold? First Tom Daley failed to finish on the podium, then canoeist David Florence missed out on a medal – and even sailing legend Ben Ainslie is struggling in home waters. Team GB officials are urging us not to panic. But with France, Germany and Italy way ahead in the medal table, it is hard not to. So to keep the spirits up – and with apologies to our non-British readers – print out our poster and place it in your window. 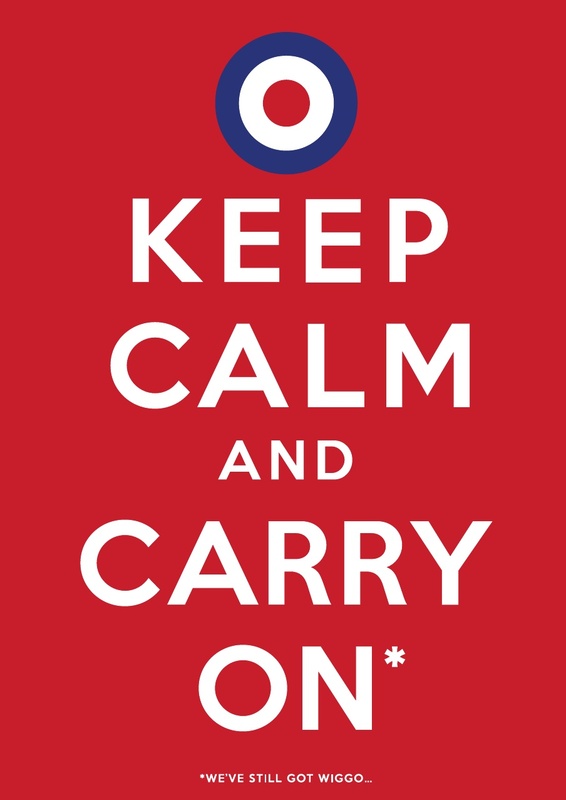 Keep Calm and Carry On is like Don’t Tread On Me and represents a nostalgia for a certain British character, an outlook.